The LG V30 is the latest flagship phone from the major South Korean smartphone manufacturer. Recently, the company started rolling out the Android 8.0 Oreo update for the V30 and V30+ under the Oreo Beta Program. Like many other manufacturers who are releasing the Oreo update for their smartphones including Samsung, OnePlus, Essential Phones, Nokia, etc. LG is also stepping into the update game. Though, the manufacturer doesn’t have a good history regarding Android updates, they are now releasing Oreo for LG V30 and V30+. The LG V30 and V30+ comes with Android 7.1.2 Nougat out of the box. It is now being updated to the latest Android 8.0 Oreo under LG’s Oreo Beta program. The update is currently only available in South Korea for the LG V300S variant on the SK Telecom carrier with firmware build number V300SV19C. The update also features the latest November,1 2017, security patch. Along the road, Android phone manufacturers have learned that software updates and support have a direct link to the sales. No updates for the previous devices, then their new phones have a high probability of failing. After all, Android is not just about making phones with high end specifications. It also involves keeping the software updated. LG has learned it and now rolling out the latest Oreo update for LG V30 and Nougat for the LG G4. We may see Oreo for the LG G5, LG G5, and the G Flex 2 as well. Following we have captured the full stock KDZ firmware files, TOT firmware files, and DLL files which will help you update LG V30 to latest software. Note: At this moment, the full stock firmware files which come in KDZ and TOT files may not be available for all the variants of LG V30 and LG V30+. However, we have managed to capture the system dumps of most of the V30 updates based on Oreo and Nougat. Note that system dumps are not TWRP flashable zips. Use them for development purposed only. Stay tuned as we will update all the firmware for LG V30 here. The installation procedure is simple. All you need are some software flashing tools like LGUP, Uppercut, and the proper KDZ files. Read the detailed tutorial on how to install KDZ/TOT LG firmware updates. 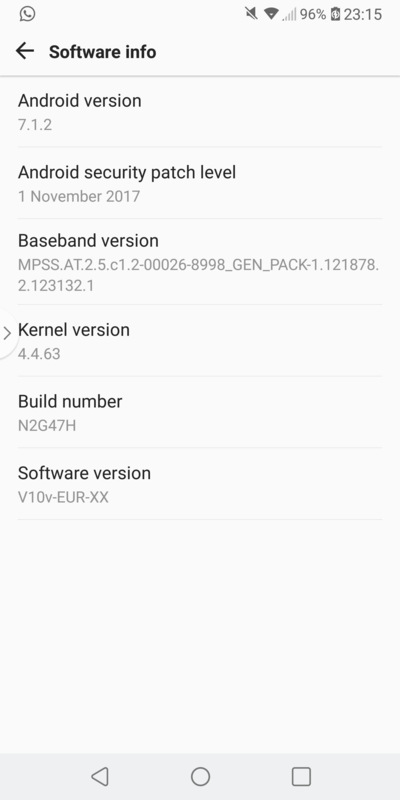 You can also update LG V30 using the LG Bridge software.